Freedom Flotilla ships are now at their last leg of the journey, heading toward the Gaza Strip, after they set off from multiple Italian ports, most prominent of which is the ship of Al-Awda, Arabic for “The Return”, which was launched from Palermo port. The flotilla, which has been organized by the international Freedom Flotilla Coalition under the slogan of “Right to a Just Future for Palestine”, includes some 45 activists and public figures on board. 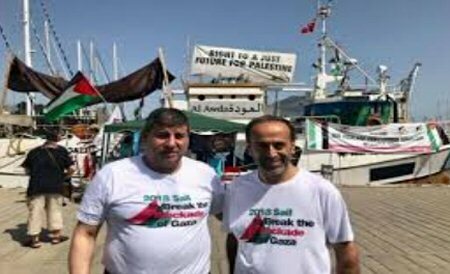 Zaher Birawi, chairman of the International Committee for Breaking the Siege of Gaza, said that all the participants on board of the flotilla are very high-spirited people and they hope to reach Gaza to deliver a message of peace, love and prospect to its people. Birawi stressed, according to Al Ray, that the participants expect the worst scenario of assaulting the flotilla, pirating it, and detaining those on its board by the Israeli occupation. He added that the Freedom Flotilla Coalition organized courses and sessions for all participants, regarding non-violent resistance and how to deal with such a scenario. 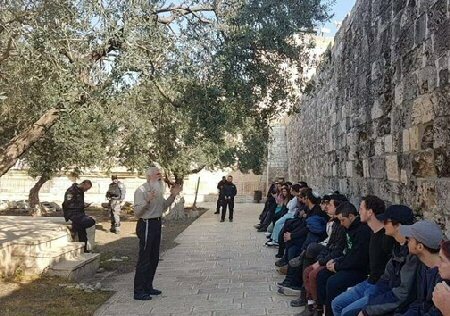 Ensuring their safety and their return to their homelands, Birawi pointed out that both the committee of participants and the legal committee have prepared all the documents and procedures which may be needed in case the Israeli occupation detains the activists on board the flotilla. In addition, the International Committee for Breaking Gaza Siege has organized, in cooperation with the Palestinian community and solidarity societies, multiple maritime solidarity activities in a number of European ports, in support of ships breaking the Gaza siege, most notably from Swedish cities of Malmö and Utoburi. It’s worth mentioning that the Freedom Flotilla ships were set off to challenge the brutal Israeli blockade against the Gaza Strip, which is now in its 12th year, and to raise international awareness of its mission, to pressure governments around the world to put an end to to the crippling siege.